Sure, process theology solves one problem, but at what price? This is the third and final part of my response to a blog post by fellow United Methodist pastor Jason Valendy. When I take up the struggle you ask me to consider, I come on the side that no one, not even God, is “in control.” Just as there is great comfort in your responses about God being in control, I find comfort in believing that no one is in control. In the language of the “omni’s” of God, I yield the omnipotence of God to the divine goodness of God (omnibenevolent). I see there are many scriptures that point to God in the way you speak of and understand this theology and even respect it. I also find there are scriptures that point to God not being all powerful and thus the role of intercessory prayer changes from trying to get God to intervene to God being the companion that walks with us and is able to take the berating that comes in authentic prayer (see the Psalms that call God out on all sort of reasons). Is he [God] willing to prevent evil, but not able? then is he impotent. Is he able, but not willing? then is he malevolent. Is he both able and willing? whence then is evil? While Valendy believes that God is not quite impotent, he does believe that God’s power is severely limited: As much as God might want to prevent evil and suffering, he can’t. This is process theology, in other words. Yuck! What comfort does it bring Valendy to believe that “no one is in control”? Only this, I imagine: God is off the hook for evil. It was somehow already there before he started creating. He doesn’t have the power to defeat it. In which case, how can God ensure the eschatological promises that are writ large across Old and New Testaments? How can God ensure his kingdom will come in all its fullness? Elsewhere in his comments, he writes that if God were in control as orthodox Christianity has maintained, then that would mean that God doesn’t “needs us to companion with God to help usher in the Kingdom.” Given that this flies in the face of the doctrine of God’s aseity—that God is utterly self-sufficient and needs nothing from anyone or anything—I thought Valendy might have been speaking carelessly. Given his words above, however, I now believe that he meant it literally. From his perspective, God does need us human beings to ensure God’s promised future. If that were true, well… we would be in deep trouble. I sense that you are ready for this conversation to end. At the risk of wearing out my welcome, I have a few more thoughts I’d like to share. My original challenges to you assumed that you and I share the classically orthodox position that God is all powerful. I’m guessing you don’t, as you indicate when you write that God’s (mere) companionship never leaves us “wondering if God could correct the pain then why would God not do such a thing.” By this, you imply that God doesn’t always (or often) have the power to change our circumstances, even if he wants to. But you’re O.K. with God’s not being all-powerful because, you believe, this attribute conflicts with his goodness. No all-good and all-powerful God would allow human suffering or evil without doing anything to stop it. This is the old Hume argument. I’m sure you’ve heard the classic theodicies (there are many) defending God’s goodness in the face of evil without, at the same time, sacrificing God’s omnipotence. I’m guessing you don’t find them persuasive? Still, I would love to see you engage the arguments some time. You say there are scriptures that indicate that God isn’t all powerful. Which ones? And how are you reading those scriptures? You told your other commenter that you don’t take scripture “literally.” Why, then, are you reading those scriptures that suggest God isn’t all-powerful in such an overly literal way? “I don’t interpret the Bible literally,” you told your other commenter. “But when it comes to this verse here and that verse over there, I’m going to take them very literally, because they happen to support what I already believe.” That doesn’t seem quite right, does it? After all, even inerrantists believe in progressive revelation (see Article V of the Chicago Statement on Biblical Inerrancy), and we understand that God is sometimes portrayed anthropomorphically. We also read scripture “literally” in the sense that we read it with respect to genre and the author’s intentions. Poetry, metaphor, parable, figurative language, hyperbole… we inerrantists believe that these aren’t meant to be taken as literal history. With these things in mind, I think you’d be hard-pressed to argue that scripture as a whole affirms anything other than God’s omnipotence. Even the few scriptures I cited for you (2 Cor 12, Gen 50, Rom 8:28) should be enough to challenge what you’ve said about God’s sovereignty or providence. But you didn’t engage my argument. You told your other commenter that you take scripture seriously—yet you don’t argue from scripture? Why? Finally, when you pray an intercessory prayer, do you believe that God might do something other than “be present with” the person you’re praying for? If so, how does that do justice to Christ’s own words about the power of prayer? Again, he says he takes scripture seriously. 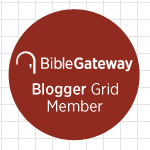 I see no evidence of serious engagement with scripture in this blog post—or others of his that I’ve read. Is God “in control” of chaos? I hope so! What I am trying to get at is the idea of “something is in control” is a false god. What I am trying to get at is that even God is not subject to “having to control” things. God, freed from enslavement to control things, is beyond all limits. The reality of chaos, mystery and chance is scary as heck. I believe that God walks with us through the chaos, mystery and chance of life but is not “in control” of the chaos. The nature of God is one of companionship and not of dictatorship. I agree that God isn’t “enslaved” by his need to control things. But is that our only choice? God is either enslaved and controls things, or he’s free and God’s providence and sovereignty don’t exist? How is it not gracious on God’s part that he chooses to rule over his Creation—even without, I would argue, routinely overriding human freedom? Jason, I’d still like for you to wrestle with the challenge of answered prayer and how it relates to God’s sovereignty. Does God, even occasionally, give his children what they ask for in prayer? The Bible, including the words of our Lord, says yes—emphatically. Conversely, if we pray for something and God doesn’t give us what we ask for, does God have a good reason for doing so (whether we know the reason or not)? I should hope so. In fact, Jesus’ words about human fathers giving their children good things and not giving them bad things (like scorpions instead of eggs) implies that the reason God either grants or doesn’t grant our petitions has to do with his goodness: only God, in his foreknowledge, can see the consequences of giving us what we pray for. So there’s a reason God either grants our petitions or doesn’t. The apostle Paul, in 2 Corinthians 12, shares his personal experience with this very issue when he writes about his “thorn in the flesh.” The thorn itself was evil—from the devil himself, Paul says. But not so fast: the thorn was at the same time something that “was given” (divine passive) by God, and it’s good purpose was, Paul says, to keep him humble. In either case, God isn’t overriding the free choices (however evil) of free creatures (human or angelic), but he is using them, providentially, to his good ends. Is God, therefore, the author of evil? Of course not. But God has the power to transform evil into good. He does this all the time: If he can take the greatest evil the world has ever known—his Son being crucified—and transform it into the greatest good the world has ever known—the defeat of evil and the means of our redemption—then he can certainly take all lesser forms of evil and do the same. If you disagree, please show me where I’m wrong. Thanks. 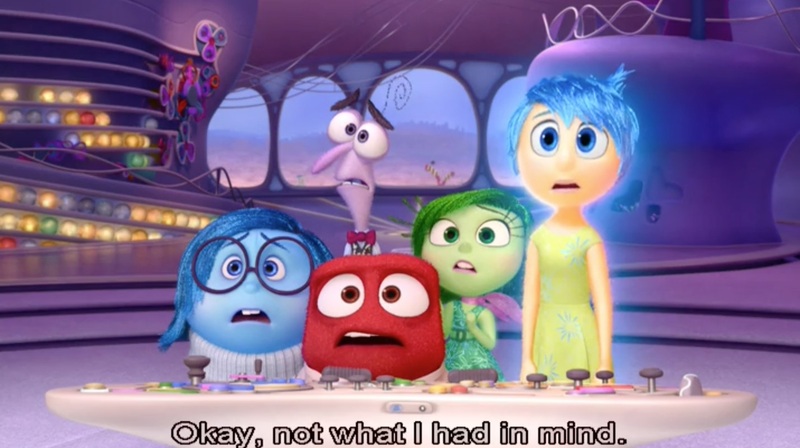 In the movie Inside Out, Riley’s mother—along with Riley’s emotion Joy acting as accomplice—encourages Riley to “put on a happy face,” even though Riley has good reason to be sad. We often feel like we have to fake it. As I point out in this sermon, however, the apostle Paul isn’t like us: When he describes the “fruit of the Spirit,” he’s isn’t talking about what people see on the outside; he’s talking about inward transformation—so that our outsides match our insides. Only the gospel of Jesus Christ can provide this kind of transformation. The first clip introduces us to the five emotions that drive Riley’s thoughts, words, and actions: Joy, Fear, Sadness, Disgust, and Anger. A confrontation between Riley and her parents at the dinner table shines a spotlight on the role that anger plays. We were having dinner on Friday night at a Japanese steakhouse. And you know how you’re forced to socialize with strangers when you go to these places… Well, the gentleman sitting nearest to us at the hibachi was a Delta pilot. I said, “Oh, Delta had a bad week this week.” And he was like, “Delta had a terrible week!” As you probably heard the airline’s main computer network, which handles everything from flight dispatching to crew scheduling, passenger check-in, airport-departure information, ticket sales, and frequent-flier programs, went down, and caused unprecedented flight delays and cancelations. Delta has lost a ton of money. I’m sure those stuck at the airport day after day, who paid unexpected hotel bills, who missed family events, business meetings, funerals or vacations might think of something stronger [than the word “challenges”]. A more correct, or honest, term might have been problem. Or predicament, hardship or plight. There’s also misery, mess or distress. He later did concede “inconvenience,” which is akin to having to open a garage door manually. Torpy went on to lament all the jargon and buzzwords and euphemisms that people use to avoid “telling it like it is.” Corporations—and churches for that matter—don’t have “problems”; they have “challenges.” But there are plenty more examples. We speak of change agents who leverage their skill sets and drill down to a granular level to find a robust and sustainable solution for their stakeholders. You get the point. As I’ve done the past couple of summers, I’m preaching a sermon series using clips from Disney movies. 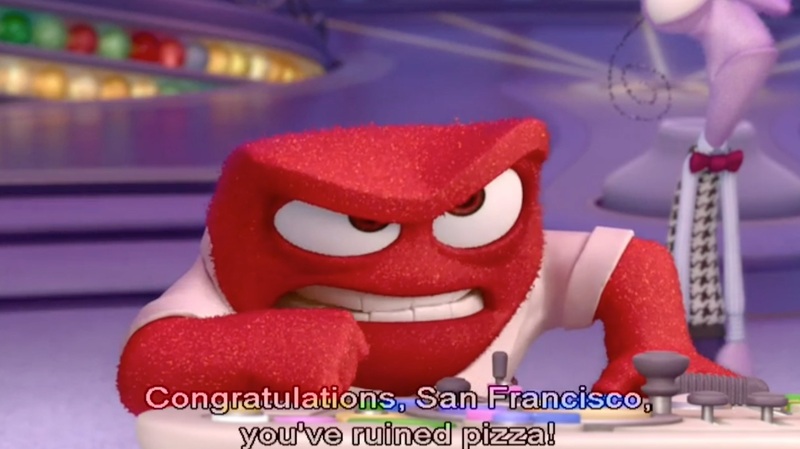 This week’s sermon is based on the Pixar’s Monsters University. 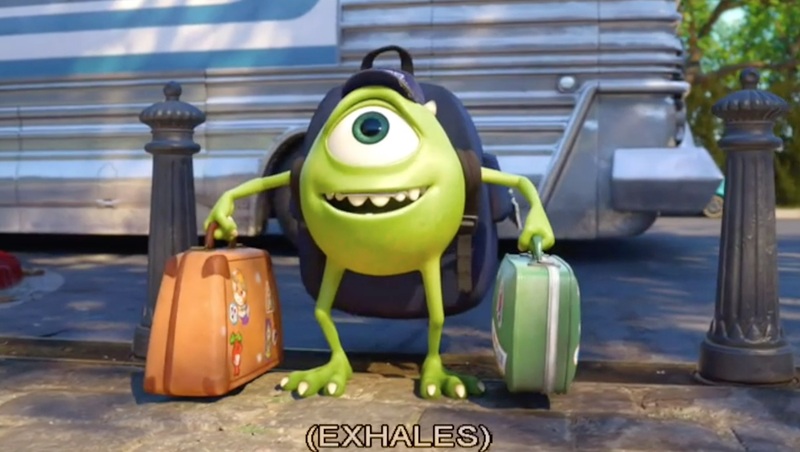 The movie is mostly about Mike Wazowski’s efforts to be someone he’s not. His struggle, as I discuss in this sermon, is not unlike our own. The good news is that God loves “losers” like us. The movie is set in a world inhabited by monsters, some of whom cross over into our human world at night and scare children as they sleep. 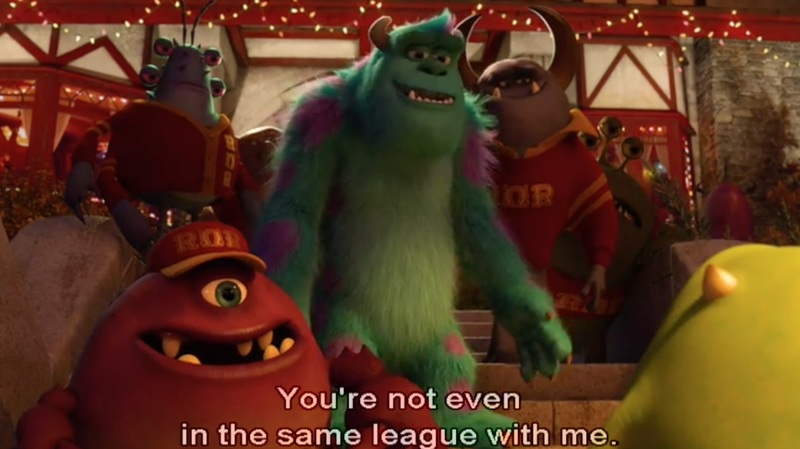 In the opening clip, we see one aspiring “scarer,” Mike Wazowski, start his college career in the prestigious Scare School of Monsters University. Although Mike is a great student, he isn’t naturally scary, and we see him struggle for acceptance by his classmates. As someone who is already plagued with nightmares of being back in school—of not fitting in, of failing to make the grade, of being embarrassed and humiliated in front of my classmates—I confess that this first clip hits rather close to home. I remember, for example, my first day of high school. The year before, I played Pop Warner football, and I earned the nickname “Mad Dog” for my toughness, for my persistence. And one of my high school classmates on that first day of high school, Jonathan Pearson, was also on my football team back then—so he knew that my nickname was Mad Dog. So my efforts to be cool on that first day of high school were doomed from the start. By contrast, at the mainline Protestant seminary I attended, we were only ever supposed to appeal to mystery and paradox in response to any difficult question. No wonder I find Dr. Jones’s clarity so refreshing. In this new essay, he tackles one of the most difficult questions of all: Why does God allow children to suffer and die? First, children suffer and die due to pestilence and disease enabled when the Lord cursed the ground after Adam and Eve sinned. He banished Adam and Eve from the Garden of Eden, thus barring humans from the rejuvenating power of the Tree of Life. God warned Adam and Eve that if they ate from the Tree of the Knowledge of Good and Evil, “you will surely die” (Gen. 2:17), and He didn’t add “at a ripe old age of natural causes.” He just said, “You will surely die,” and we’ve been attending funerals ever since. Second, children also suffer and die because of the mistakes and sins of others, such as leaving a pool gate unsecured, drunk driving, murder, and so on. Third, children suffer and die because natural laws work in regular ways: the gravity that keeps us on planet Earth also enables fatal falls; the fire that warms also burns; the water in which we swim can also drown. If you’re still unconvinced, he challenges us to consider alternatives: What kind of universe would we live in if this weren’t the case? If God is to allow us to acquire knowledge by learning from experience and above all to allow us to choose whether to acquire knowledge at all or even to allow us to have a very well-justified knowledge of the consequences of our actions—knowledge which we need if we are to have a free and efficacious choice between good and bad—he needs to provide natural evils occurring in regular ways in consequence of natural processes. Or rather, he needs to do this if he is not to give us too evident an awareness of his presence. Did you catch that last sentence? What’s wrong with God’s giving us “too evident an awareness of his presence”? No, God wants us to love and trust him. God knows that faith is the best vehicle for this love and trust. My dog, Neko, in her cone of shame. If you are a disciple of Jesus Christ, no aspect of your life is off-limits to him. No matter what you’re doing or where you are, you are here to love, serve, and glorify him. Does your life reflect this fact? 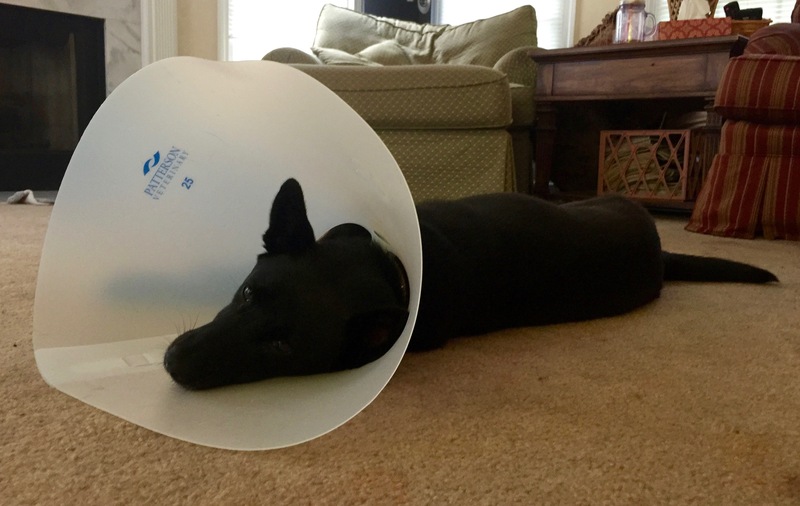 A few weeks ago, I talked about my dog, Neko, and the fact that she had to wear a “cone of shame” over her head. Remember? I didn’t go into detail about why she had to wear it. But I want to now… I took her to the vet because she had a large bulge under her hind leg that she had been licking constantly—as dogs tend to do—thus her need for wearing the cone of shame. I thought the bulge was the result of a infection. I wasn’t too concerned about it. The vet, however, when he inspected it, said—and I quote—“Well, we can rule out the possibility that it’s an infection. It shows every indication of being a tumor. I can’t say whether it’s malignant or benign without a biopsy, but I know for sure it’s a tumor.” That’s exactly what he said. So we scheduled surgery the following Wednesday. And remember, I asked some of you to pray for my doggy, and many of you said you would. And I prayed for her, too. But I didn’t think it was strange or unusual that we prayed for the Burleys’ cow! Nothing is too small to pray about. If something is important to us, it’s important to God. We sometimes act as if God is just a bigger, better version of ourselves. We live and pray as if God only has a limited amount of time, and a limited amount of attention, and a limited amount of power. So that if we ask God to devote some of his time, attention, and power to this small part of our lives—like the health and safety of one of our animals—then that means that God will have less time, and less attention, and less power to devote to the really big problems of the world—like world hunger, or world peace, or the presidential campaign. Jonah’s story should give us great hope as Christians. He’s probably the most successful prophet in the Bible—in terms of all the people who repent and believe as as result of his ministry. But notice that his success mostly comes through his failures. Do you believe you’re not good enough for God to do powerful things through you? Think again. 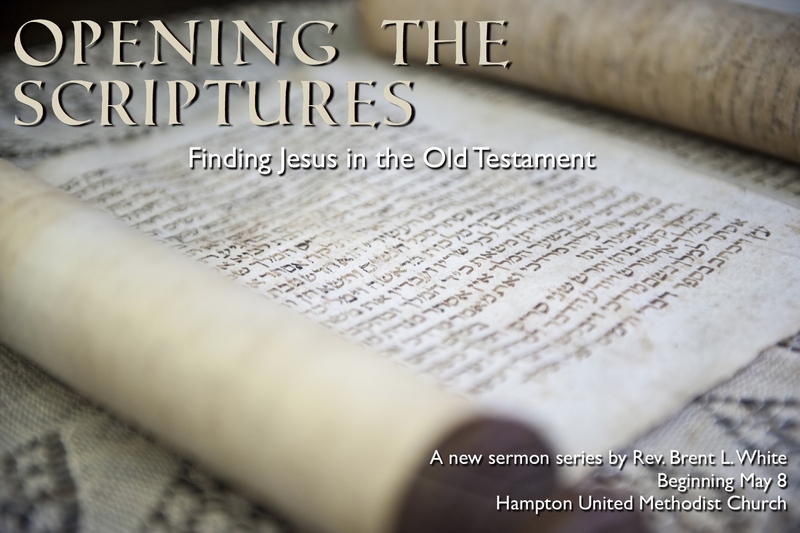 This is the last sermon in my “Opening the Scriptures” series. No audio or video this week. There’s a satirical Christian news website called the Babylon Bee—it’s the Christian equivalent of the Onion, if you’re familiar with that purveyor of fake and funny news stories and headlines. But the Babylon Bee ran a story last week entitled, “Church Attendance Spikes Nationwide Due To Influx Of Pokémon Go Players.” You’ve probably heard by now about Pokémon Go… It’s a so-called “augmented reality” app on your smartphone that directs you to different places around the world to capture animated Pokémon characters using your smartphone camera. It’s pretty cool, I’ll be honest. But if you see someone walking down the sidewalk, holding their phone out like this and bumping into park benches and fire hydrants and other people, chances are, they’re playing this game. It has become a huge sensation. Has anyone checked to see if our church is a Pokéstop? For all I know, the Pokémon Go craze may get unchurched people through the doors of a church. But if you really want them to get religion, and fast, try sending a life-threatening storm their way. That’s what God does to the prophet Jonah and a boatload of seafaring Gentiles in today’s scripture. “God is bigger than the Bible” (149). “Jesus is bigger than the Bible” (170). “For Christians, then, the question is not ‘Who gets the Bible right?’ The question is and always has been, ‘Who gets Jesus right?’” (227). While I agree with the first two statements, how is the third not a false choice? What do we know about Jesus outside of the Bible? How can we possibly get Jesus right except by getting the Bible right? I also wonder if your daughter Leah isn’t confusing inerrancy with fundamentalism. While I’m an inerrantist, I believe that the Old Testament is factual history only where it purports to describe factual history. Of course we look at context. Of course we consider genre. But this isn’t the same thing as implying, as Leah does, that we inerrantists “believe that each word of the Old Testament is an historical fact.” Even poetic words? Apocalyptic words? Figurative words? Hyperbole? Idioms? Brent, you apparently assume because Enns questions some portions of the OT regarding hermeneutical issues that he has bailed on the whole Bible. Do you recall he taught at Westminster Theo. Sem. for 14 years?! Because he’s pushed the envelope on some OT texts, he now can’t find his way to Jesus in the New Testament? Your panic is uncalled for. Again: Can we “get Jesus right” apart from getting the Bible right? Do we know anything about Jesus that isn’t revealed there? This is why we Protestants have insisted from Day One on the primacy of scripture. We’re not, historically, mystics—and for good reason. Brent, I hear stories of Muslims who can’t get near a Bible getting Jesus right because he shows up to them and they convert at the risk of their lives. Is that too mystical for you? You’re not suggesting that these Muslims are converting to Christianity without even hearing the gospel, are you? Reductio ad absurdum. Illiterate people can be converted without reading a Bible. You know that’s not my point. Is there something that these Muslims (or any other converts) are learning about Jesus to which scripture itself doesn’t also bear witness? 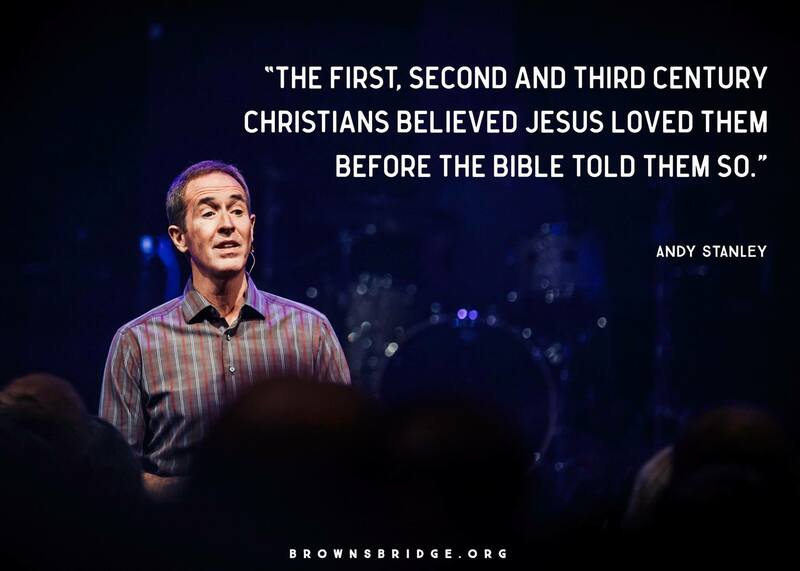 Christians for 300+ years knew lots about Jesus absent any Bible. Not really. They had portions of the Bible. They had some gospels. They had some epistles. They had preachers proclaiming God’s word. They had teachers teaching it. They had memories of apostolic witness. Absent anyone telling them anything, what would they know about Jesus? Most Christians relied on oral tradition. Which was filled with material different from or absent from what made it into the canonical Gospels (although it also included a wealth of material that is in the canon). And I’m not talking Gnostics. Oxyrynchus 1224, the Fayyum Fragment, Gospel of the Hebrews, and various Patristics quotes of Jesus sayings not In the Bible point to a robust, proto-orthodox oral Gospel tradition that does not begin or end with what eventually made it into the official Canon. The fact is, there are many progressive Christians who want to insist that the Bible isn’t God’s Word—that Jesus (alone) is God’s Word. Why do they do this? It’s a false choice. Can someone please name one thing we know about Jesus that isn’t revealed in the Old and New Testaments? Just one thing? By all means, “knowing Jesus” is more than words and knowledge; it is a spiritual event and an ongoing relationship. But it isn’t less than words and knowledge.